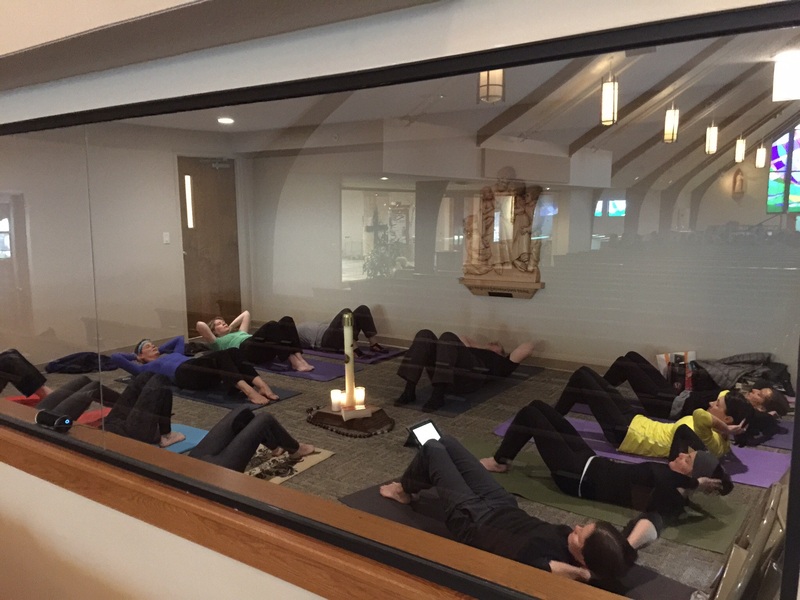 Lent SoulCore at Saint Louis de Montfort Church in Fishers, Indiana on March 3, 2015. You are invited to enter into the greatest mystery of all: the life, death and resurrection of Our Lord Jesus Christ in SoulCore. People are gathering in big and small circles worldwide primarily to understand the vocal and mental prayer of the rosary. The added benefit of stretching your body and soul is secondary. If you want to grow closer to Jesus, imitate His life and His virtues that parallel the life of His Mother, Our Spiritual Mother. We should meditate on what the mysteries contain and obtain what they promise. SoulCore is a new and unique approach of formation into virtue. It is a movement all its own in both method and language bringing about a whole new understanding of the Holy Rosary to the millennium. While strengthening your body, mind and soul, you enter more deeply into the life of Christ through the intercession of His most beautiful Blessed Mother. The movement is reflected in and contstantly illuminates the sacramental life. “We must pray with our whole being to give all power possible to our supplication.” (CCC, 2702).